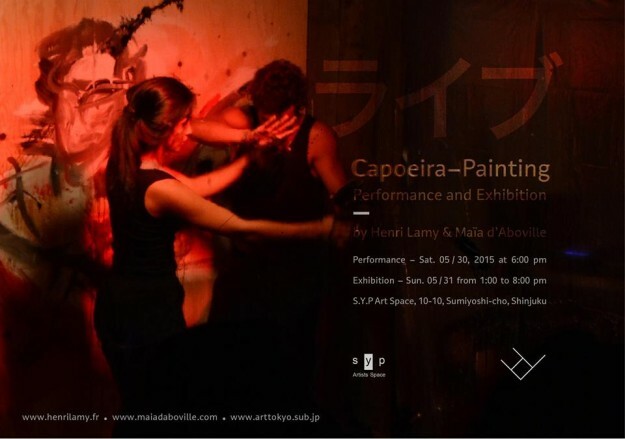 We will have the Capoeira painting Performance and Exhibition by Henri Lamy & Maïa D’Aboville. They are French painter has been active in many Asian country. Please watch and feel their painting with Capoeira action. Their performance is composed with painting as well as their breathing and eyes, emotion. They have communication in performance and hit it off very well together. I’m looking forward to see new performance in S.Y.P art space. Graduated from Arts Décoratifs Paris, and Gobelins School, she already won several design prices and had French National Railways choosing her project Bibliothèque Digitale TER as interactive design incentives in their trains. She also works for Atomic Soom, interactive design agency and helped develop project and applications such as Potatoyz or FairyTaleMe. Resident of 59 Rivoli Paris, i traveled the world for the five past years, revealing various inspirations about people dreams. In China, I had a solo show about a book that my father wrote “A Fool’s War“. Then, I took part to a show at Akarenga in Yokohama for iPhone Case exhibition and met Yuji Hirayama. After that, I discovered the Philippines, where I had two solo shows at Altromondo and Manifesto. I also stayed at Paris public studio and took part to Museums Night to show my capoeira painting cage performance to the public. During my trips, I also had the chance to teach drawing in Sao Paulo, take apart to Paint/Dancing classes in Hong Kong, and organize painting cessions in Paris.